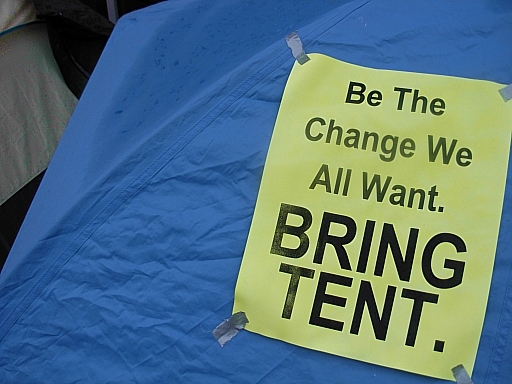 The 30 tents of Occupy Nanaimo, now in its 15th day, went behind barricades this morning to accommodate Trick-or-Treaters and a costume contest for dogs in the front end of the Diana Krall Plaza. The occupiers agreed to temporarily relocate their camp to the back end of the plaza, and to accept the barricade (whose purpose was said to be to keep Halloween kids from accidently wandering into the tents – yeah right, whatever). The plan is to remove the fencing and re-instate the camp to its original position by tomorrow. Still, an encampment of human beings corralled behind a fence is an unsettling sight, conjuring images and memories of some of the worst periods in human history. Not really a moment for Nanaimo to be proud of. This entry was posted in Events, News, Politics and tagged activism, economic equality, Kim Goldberg photos, Occupy Movement, Occupy Nanaimo, Occupy Wall Street, photos. Bookmark the permalink. Yes, I was down there, this afternoon, delivering an OccuPUMPKIN! (photos to be posted soon) and distributing fruit snacks and treats to the children that were Trick-or-Treating… and tarps, duct tape, coffee and a soup pot to the protesters fenced off from the event. But, guess what? It wasn’t a happy fence and it did not stay in place for long. As it turns out, Robin Hood and his Merry Maidens are part of the 99% and they liberated the plaza, moving the fence to surround some cardboard boxes and items waiting to be recycled, instead. But, for the time the fence was up, the feeling of unease, oppression and dismay it created were palpable. 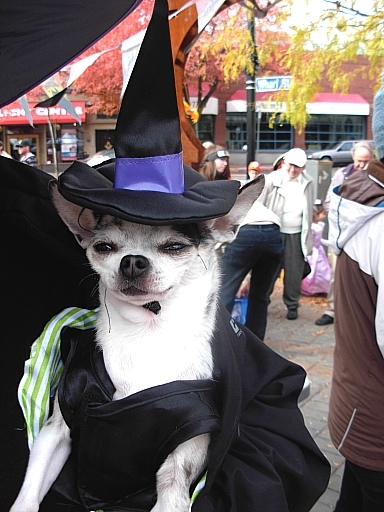 The nice, ‘normal’ consumers at the front of the plaza had music, treats and festivities… even the dogs were treated with respect and good humor, in their Halloween costumes… while Occupy Nanaimo was shunted away behind a fence with the port-o-poties, recycling and on-site RCMP constables. Ghettos, reservations, walls… they are all meant to separate segments of society from the main or one group of people from another and often lead to human rights abuses. 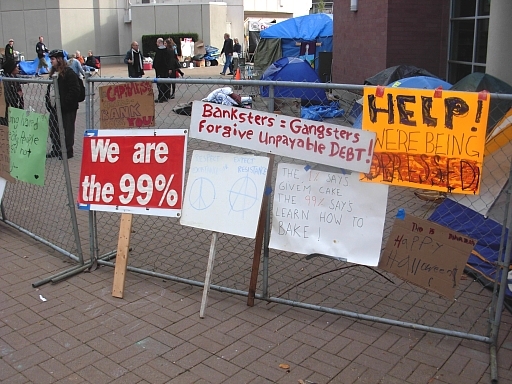 But, the OWS/99% represented by Occupy Nanaimo are part of the community and the mainstream life of this city. They will not be pushed to the back of the bus… or plaza, in this instance. The fence came down… and everyone could breathe, again. 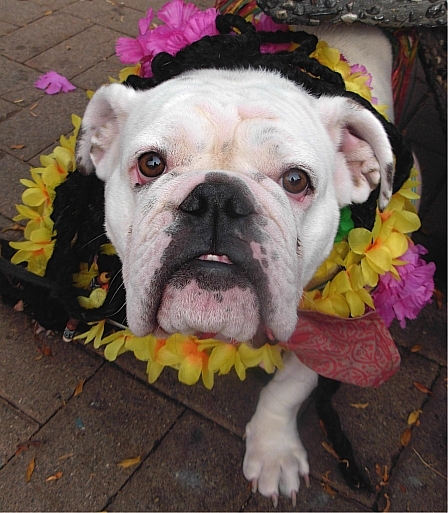 It did not negatively impact the festivities, at all, removing the fence… and improved the atmosphere, considerably. Canadians, internationally renowned for our manners, are even polite when we discriminate against particular groups of people, in Canada, or abuse their civil or human rights, using a fence instead of tear gas and batons like they have been doing in the USA… but it is still a form of oppression. I was there also, and the fence was certainly not hindering anyone of the occupiers from freely coming and going. In fact they had an information table set up admist the rest of the DNBIA event. I have commented elsewhere that the support for the occupation certainly seems to be dwindling, as the days past. The first Saturday was a big deal, but the last two weeks, not so much. Also, the tents seem to outnumber the occupiers ???? Jim, I think it’s the symbolism of the barricade… delineating between the two events was not necessary and it serves to create an “us” and “them”. Of course the support “appears” to be dwindling. I am firm supporter, but I have too many other commitments to be there and I live too far away to be there often. However, I continue to support them from afar. If they disband, I still consider it a success. The statement and passion is huge, and Occupy Wall St and all Occupy movements are a huge historical event. Let’s not miss the forest, for scrutinizing the trees. Speaking for myself, I was part of the estimated 500 people that attended the first Occupy Nanaimo rally on October 15th and my support has continued unabated, since then. Due to the fact that I deal, daily, with several major health issues, I cannot camp out in the plaza at this time of year… it would adversely affect my health to do so. But, I’m one of the many people in Nanaimo that contribute to Occupy Nanaimo in several other ways, rather than physically camping out at Diana Krall Plaza. I have provided many supplies and donations, which I’ve intentionally purchased off of local and downtown merchants if I did not own the items, already. I am also going to look into switching my banking to a local credit union. I take photographs, I’ve participated in demonstrations, I physically go down and “occupy” the plaza whenever I am able to do so, I talk to people about relevant issues, I post and tweet about the local and global “occupy” movement online via social networking sites such as Twitter and Facebook. For every one of the estimated one hundred people permanently encamped at Occupy Nanaimo, there are several more people in the community working behind the scenes to provide support, encouragement and donations. So, support has not dwindled, it is just spread out throughout the community… which has the added advantage of not putting extra strain on the limited physical space and facilities at Diana Krall Plaza. I live within walking distance of downtown, so it makes more sense for me, given my health, to sleep and eat at home and then go down to the plaza during the hours when it makes sense for me to do so. As for the fence: it was ugly and unsightly, it may have blocked emergency vehicles from having immediate access to the entire plaza and it was a psychological/physical barrier, separating one group of Nanaimo citizens from another group of citizens, for no justifiable purpose… the parents had their kids well in hand and the tents were out of the way. It was a non-issue that the city was trying to turn into an issue… and, again, speaking for myself, I can say that I felt unhappy and oppressed by being fenced away from everyone else when I haven’t done anything wrong. It does not take a lock or security chain on a fence for it to be a visible and appreciable barrier. I am engaging in direct democracy and upholding the rights enshrined for all human beings, everywhere, in The Universal Declaration of Human Rights.